Siargao’s popularity is soaring in recent years for a good reason. It’s considered the surfing capital of the Philippines, and a world class surfing location. On top of that, Siargao has so much more to offer to : Clear water, virgin islands, lagoons and tidal pools. Our vacation packages include hotels, tours, transportation and airfare. Contact us and we will insure you’ll get the best deals possible. As tourism is still not fully developed on the island, it’s perfect for avoiding the crowds. Go through this page, add any attraction to your wishlist, and we will assist you in creating the perfect Siargao vacation package. 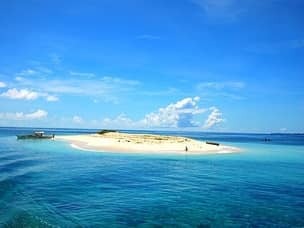 The island can be reached from Cebu City by flight or ferry, so if you’re planning a holiday in the Visayas region you can easily include Siargao in your plans. These Siargao tour packages aim to suit different tastes, preferences and budgets. Go through them and if you feel there is something you want to change just contact us and let us know. We will take it from there and plan your entire itinerary. Alternatively, you can add any item you’d like to your wishlist, and build your own custom Siargao package. After choosing your package, you can go to other pages on our website and add more destinations. We’ll turn your dream vacation into a valid itinerary, taking your personal preferences into account. It’s highly recommended to combine Siargao with other destination close to it like Dinagat and Bucas Grande, as they are very near and absolutely stunning. You can also add Cebu and destinations easily accessible from it, since it’s a necessary stop on your way to Siargao in most cases. The best hotels, and most accommodation in general are located around tourism road in General Luna municipality. General Luna is the most famous place on Siargao Island, tough there are other municipalities you can check out, but they don’t provide the same standards. We can help you choose the best accommodation for you. It can be a budget inn, or an all-inclusive resort. You can Prices of hotels are very affordable compared to other destinations in the Philippines. It’s a good opportunity to indulge yourself and upgrade your stay, especially if you’re on a romantic vacation or on your honeymoon. With the right planning we will find the resort that will compliment your dream vacation. Going through our catalog shouldn’t be a hassle, because we keep it as short as possible, presenting only the best accommodation for any given budget. If you don’t find exactly what you are looking for, just contact us, and we will assist you. Flights : There are flights to Siargao Island from Cebu, or from Manila with a connection in Cebu. There is only one Cebu Pacific flight a day to Siargao up to date. Ferry : There are several ferries a day from Surigao city, the last one leaving to Siargao Island at 12:30 PM. To get to Surigao take a flight from Cebu or Manila, or the Cokaliong Shipping Lines night ferry from Cebu. Getting around : Siargao Island is not fully developed yet for tourism, and therefore transportation is not that great. Tricycles are the most common way of getting around if you don’t want to rent a motorbike. When booking with us we will arrange harbour/ariport pickup to your resort. Best time to visit : Dry season is from March to November, and it’s the perfect time for a beach bumming, island hopping vacation. From November to March it’s the rainy season with its monsoon winds, and is the high season for surfing in Siargao. Nightlife : Even though Siargao is a small island, the surfing tourism brought its lifestyle to the island. There’s a party in Siargao every night of the week, where everybody show up to have a good time! Local festivals and holidays : Siargao surfing fiesta is held anually every late September. Other than an international surfing competition you will also witness parades, dancing and partying all day long over these two weeks in General Luna. Getting there by airplane is the easiest and most convenient way. There are 2 daily direct flights to Siargao from Cebu City only (07:40, 12:45), so if you’re traveling from Manila or any other destination prepare for a layover in Cebu. There are also flights to Surigao Airport, the closest airport that isn’t on Siargao itself, and those are usually cheaper. From Surigao you’ll need to take a ferry that takes 2-4 hours, starting 06:00am with the last one departing at 12:30pm. An alternative way to get there is taking the night ferry from Cebu to Surigao. The trip is 11 hours long (07:00pm – 06:00am), and you can choose between a private cabin, tourist class with air-conditioning, or economy class. It’s strongly advised to refrain from the economy class as the price difference between it and the tourist class isn’t worth the inconvenience. What to do in Siargao? The main attraction here is surfing, and you can feel it everywhere. Many resorts are surfing themed, you can see surfers everywhere, and it’s well reflected in the general atmosphere and lifestyle on the island. Beside of surfing, the island has many more things to offer, comparable to the most famous destinations in the Philippines. With such a variety of attractions and activities Siargao is a place that promises a great holiday for anyone. Read below to find out everything there is to do in Siargao, and book the tours you like best. It’s up to you to decide whether you like to join a group or enjoy a private tour – just let us know and we’ll make it happen. No matter which tours and activities you’d like to try, our team will help you plan your whole day and ensure you’ll have a perfect holiday. Below you can find detailed description for each of Siargao’s top attractions. This will give you a very clear idea of the best tours on the island. Then, you can just contact us and let us know what you want to do. For direct bookings, as well as detailed itineraries and prices, visit our Siargao day tours catalog instead. Siargao Island is one of the best spots in the Philippines for surfing, and not only thanks to its waves. There are plenty of resorts perfectly suited for surfers, with the right facilities and equipment. The local guides are very professional, and can teach total beginners as well as guide the experienced surfers to the best spots. On top of that, many of the resorts and shops also own SUPs and kite surfing equipment if you’d like to try those. Siargao Island is most famous for Cloud 9 beach, named the 8th best surfing spot in the world by CNNgo. Other than that there are around 15 major surfing spots, each with its own special characteristics. Some are more suitable for beginners and some are for experts only. When you book you surfing package with us, we make sure that you get the proper professional guidance for the best experience possible. Joining a surfing group is the perfect way to make new friends and have a ton of fun. We can help you find the best type of group for you specific situation, to ensure you end up with likeminded people. Another option is to book one of our Philippines surfing packages – all of which includes Siargao and will allow you to travel to more amazing surfing sites. This is one of the most memorable activities on this island, and is as good as the top island hopping destinations in the country. The beaches are white, there are many secluded islands, and the view is breathtaking. Most organized tours will take you the 3 main islands, but you can also change the itinerary if your’e looking for a more unique experience. The three famous islands are Naked Island, Dako Island, and Guyam Island. Naked Island is a tiny bare white sand Island in the middle of the ocean. You can sit in the sand for a while, sunbath, and swim around. The feeling there is a bit ephemeral, lying on a tiny bed of sand surrounded by deep blue waters. Dako Island is the bigger island of the three, and has a small community living on it. They arranged a number of small cabanas, a small shop and restaurant where you can have a simple lunch and grab a couple of drinks. Go around the island and see the kids play outside. Say hello to the locals and get the feel of how it is to live on such a small and remote island, with life so different than your own. Guyam Island is just a little bigger than naked Island, it has coconut trees and even two huts. It is perfect for snorkeling and chilling. Circling the island will take you five minutes or so. The island’s caretakers will gladly climb a tree and pick a coconut for you to drink for a small fee. Guyam is also a great Island to start watching the sun go down. Diving in Siargao is often overlooked, due to the island being so acclaimed for surfing. Even so, the Island offers some great dives. There are more than 30 dive sites with beautiful rock formations, caves, corals, slopes, and plenty of fish and marine life. Diving is a great way to break your surfing routine, and another awesome activity for anyone visiting the island. As in any other place in the Philippines you don’t have to be a certified diver and can learn and get certified here. That said, in our opinion there are better places for that which are more beginners friendly and offer easier dives. Regardless, the equipment and guidance of the dive clubs in Siargao is of exceptional standards and you can count on getting the best treatment. If you want to add diving to your Siargao vacation package just add it to your wish list, and we will make sure it’ll be included in your travel plan. Professional game fishing is also one of the activities Siargao Island has to offer, and if that’s your thing we will gladly book a game fishing tour for you. Trips include the boat, gear, lunch and drinks. The fish that are usually caught are mahi-mahi, tuna, yellowtail, and blue marlin. The price starts at 70$ (3500P) and up, depending on the number of people and type of boat you choose. For more information it’s best to contact us directly. Siargao is a great place to seek adventure. There are plenty of day tours you can take to keep you occupied, and make your holiday more diverse and exciting. The attractions below can easily be included in your package, just add them to your wishlist. 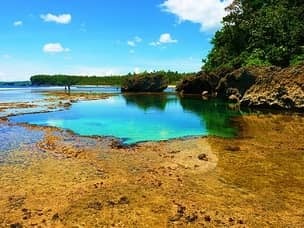 Magpupungko tidal pools in Pilar town are a must see spot in Siargao. During low tide the unique rocky floor of this beach turns into three separate pools, with crystal clear water, corals and fish. There are even some rock formations on the boundaries and inside the pools themselves you can jump from. If you continue to explore the beach beyond the tidal pools you will reach Magpupungko rock, and beyond it there is a secret beach. This place makes an amazing spot for a relaxed afternoon. You can get to Magpupungko on your own, on a rented scooter or a trike, or we can arrange a tour for you with private transportation. Sugba lagoon in Del Carmen municipality is in the middle of the second largest mangrove system in the Philippines. The way to the lagoon is through the mangrove forest, and is home to the largest salt water crocodile species. You don’t need to worry as they rarely come out and don’t attack boats, so if you do manage to spot one from your boat you should consider yourself lucky. The lagoon itself is very beautiful and quiet, surrounded by towering limestone cliffs. The water is crystal clear, with many stingless jellyfish swimming around. All you have to do is reach Del Carmen by bike or van, then book the guided boat tours from the tourism office in the port. These cost around 30$(1650P) and are good for 8 people. When you arrive you can rent snorkels and small bamboo rafts, as well as buy some snacks. Don’t count on their gear’s quality and availability – it’s usually better to bring your own snorkel and your own lunch. If you decide to book through us we will arrange an all-inclusive tour – with transportation, buffet lunch, drinks, SUP, and snorkeling gear. Bucas Grande, also known as Socorro, is available as a day tour from Siargao Island (as it’s actually the southern part of Siargao Island). It’s somewhat similar to Sugba Lagoon, but far more exotic. We recommend travelling to Bucas Grande for more than a day, especially if your’e seeking a romantic getaway. Over there you can visit the famous Sohoton Cove – you can read all about in our Bucas Grande page. The tours range in price from 120- 240$ depending on the vessel you choose (pump-boat/speedboat, 1hr and 30 minutes/3 hrs one-way). Is Siargao the right place for me? Siargao is the biggest growing tourist destination in the country. It’s beautiful, unique, and offers a lot of thing to do. Many people choose other destinations over Siargao because they lack the information, and they heard so many good things about different places in the Philippines. 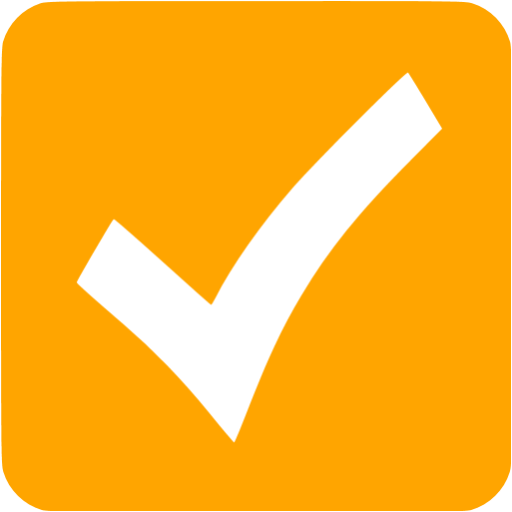 Once you’ll be presented with all needed information, you’ll be able to choose whether you’d like to visit there or not. The table below compares Siargao Island with the most popular destinations – to help you understand what sets it apart. This price includes: Airfare, Accommodation, Day Tours and Living costs. Siargao is cheaper compared to all popular tourists spots, and you’ll get greater value for the same price. Another good thing about Siargao is, that when it’s the off season at other destinations in the Philippines, it’s actually the best time to visit Siargao. However, if you wish to incorporate diving into your vacation, Siargao isn’t the place to do so. There are a few dive clubs, but this place is not known for its dives, so it’s better to do them elsewhere. Palawan offers a great deal, and if you’re traveling to the Philippines on the right season, you should definitely pay it a visit if you can. Many activities are better done in Palawan, such as diving and island hopping (though island hopping in Siargao is really great too, but nothing matches Palawan). Palawan like Siargao takes more effort to get to usually, and you’ll to dedicate enough time there to enjoy everything it has to offer. Bohol on the other hand is a small and compact place that is much easier to get around in. You won’t have to hire a motorbike and will have organized tours that take you to all the tourist spots. So, if you want a place that can be fully enjoyed within a short period of time Bohol is better. Diving and snorkeling there is also among the best in the Philippines. Even though high season overlaps with Palawan, being in the heart of Visayas, this place has a better climate with no pronounced seasons. Visiting Bohol is usually fine all year round. If you feel you have to choose, the season should be the main consideration. If it’s high season at Palawan go there, and on Siargao’s high season come here. There is a great chance your way here will go through Cebu City, and in that case you can easily visit Bohol too. in any case you should contact us, and we’ll help plan the best package for you. How does Siargao Island fit into my schedule? Limited time offer : Rates as low as 70 USD a day! 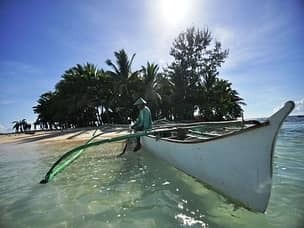 Siargao Island is remote, but if you have the time we think it’s worth it, and with regular flights to the island nowadays, it is not beyond your ability. As long as you book in advance, it should be no problem to find rooms at any hotel and enjoy the various attractions this island has to offer. It’s easy to combine the trip with Bucas Grande and Dinagat Island. Dinagat is another truly unique off the beaten track destination, for those who love to explore unknown territory. Siargao is one of our favorite places in this country, since it offers a wide variety of attractions for any type of tourist, while maintaining its unique character. This is the best time to go there, before it becomes a huge tourist magnet and the whole vibe changes. We highly advise anyone who decide to visit Siargao Island to give it at least four full days, and use our help to combine it into a full vacation package. Siargao is usually a standalone destination but since there are regular flights from Manila and Cebu, you won’t waste too much time off your holiday by going there. Tour: Anything you can suggest. But we would love to explore food, island hopping, beaches. I am open to suggestions. Airfare: INCLUDED and Rountrip airport transfer. Discounts? Promo? We are looking for a VERY competitive rates. Hey Charlotte and thank you for your inquiry. One of our agents will contact you soon with an offer. We will do everything we can to meet your exact requirements, it shouldn’t be a problem at all. We do offer discounts for large groups such as yours. Our agent will discuss it with you. For payment terms, you are welcome to read our terms and conditions page and speak to our representative if you have any questions. Thank you for choosing us, we look forward to helping you plan the best vacation of your life. Tour: Anything you can suggest –island hopping, beaches, others. Hi Lily and thanks for the detailed inquiry. Everything you request is certainly possible, and it sounds like a wonderful family vacation! One of our agents will email you as soon as possible with a quote. Airfare: INCLUDED from Manila airport and Rountrip airport transfer. Hi Elizabeth and thanks for leaving a comment. Finding an hotel in Siargao with only 2 weeks to go is hard, as this is the high season. Since you are looking for “VERY competitive rates at the newest hotel possible” i’m afraid we can’t really help you out. The island is packed with tourists so prices for the next month go way up, especially now with Boracay being closed. If your travel dates are not flexible then i suggest you either book some Airbnb or hostel (dorm style) or otherwise consider going to a different destination. People who are going there now and didn’t book anything in advance are sleeping in tents on the grass since it’s so full! Hi Mae and thanks for the nice comment. Please fill out the inquiry form here and leave a phone number. We will get back to you with an offer on the same day. Just inquiring for siargao tour packages.. only for a couple.. we want budget friendly.. we can join other people on a group tour.. could you give me a itirenary.. probably on november.. thanks..
We would love to help you but it’s kinda hard to understand exactly what you are after just by reading this comment. Please fill out all the information in our inquiry form and one of our agents will get back to and help plan the vacation exactly the way you want it. Yeah of course we have that on offer, but we need more details in order to provide quality service and ensure you get what you want. Could you kindly fill out this inquiry form first? Once you do, one of our agents will get back to as quickly as possible. We will mail you soon with an offer. Hi Ara and thank you for leaving a comment. I’m afraid what you are requesting is not our specialty. We are not a cheap agency. Sure, we always try to get our clients the best possible deal, but our focus is rather on quality and personal service. We find that extreme budget packages compromise our ability to ensure quality is maintained. When you work with unprofessional providers you can not guarantee the product will be good consistently – and we are not willing to gamble on our client satisfaction just to save a few extra bucks. On top of that, the request is a bit confusing. You want to save money but fly to Siargao for just 1 night? Maybe you don’t know, but flights to Siargao start at 3500P per direction. So 7000P per person is already probably a huge chunk of your budget and makes it kinda pointless to go just for a single night. If you are based in Manila, then i suggest you re-consider and instead settle for something less “glamorous” like Tagaytay, Laguna or Alaminos. Go to Siargao when you have more than just a single night to spare, and possibly a bit of a more flexible budget. Best of luck with your holiday! If you need more help please contact us through our standard contact from instead. Tour Required: 3-4 Hours of Surfing, preferably after 0300PM. If not possible, kindly suggest the best options for surfing tours and quote for the same. If all you want is surfing then there’s really no need to book it through us. Siargao Bleu is right next to Cloud 9 beach. You can just go to the beach and find many locals there who will help you out – there’s never any risk of not finding a guide or a surf board to rent. We’re thinking of taking your tour for Siargao early June but we’re not sure if we could really explore as I believe it’s already rainy season. Can you please give us your honest advice? The seasons in Siargao are a bit different than other parts of the Philippines. The dry season is from March to November usually. So June is a perfect time to visit. Siargao is actually one of our go-to destinations for people who arrive here during the wet season. Me and my friend are interested in booking a private land tour with you to get us to the main land attractions such as sugba lagoon magpupunko pools, sohoton cove, etc. Can you please let us know if a private tour can be arranged on the 7th of March ? Thank you for considering our services. Yes it can be arranged, please send an inquiry and our agents will take care of it.